Before we talk about the benefits of donkey milk, let me tell you a secret. Anyone who knows me knows how much I love animals. I love to be out in nature with the wild ones. I also enjoy being at home with domestic ones. And one of the animals that have always been a favorite of mine is the donkey. 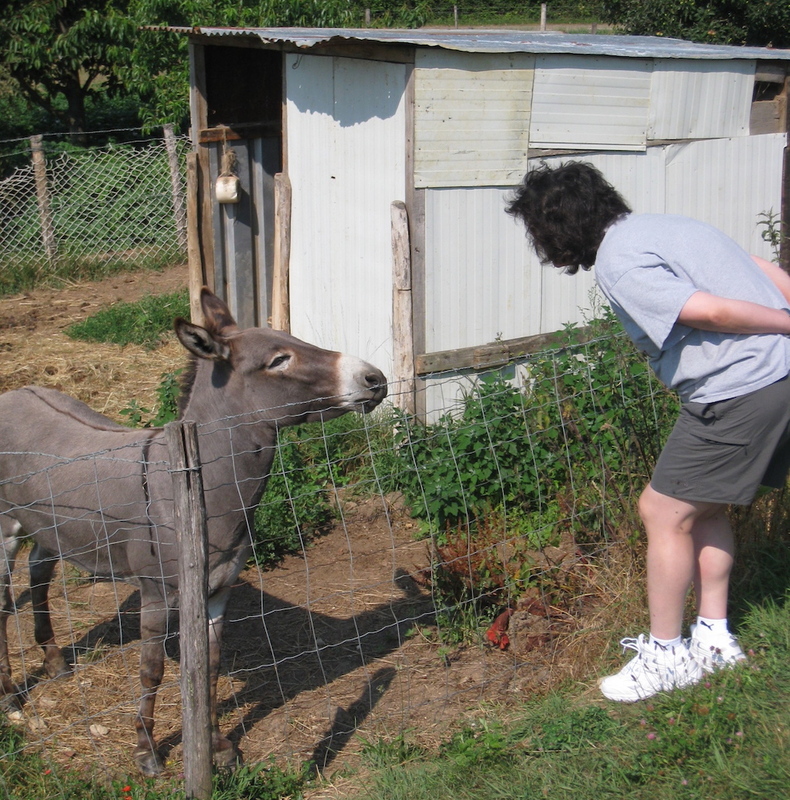 When I met my first donkey, I discovered their many charms. But I have only come to learn more recently about the wonder of donkey milk for health. Surprisingly, donkey milk uses can have amazing benefits for some serious health issues. 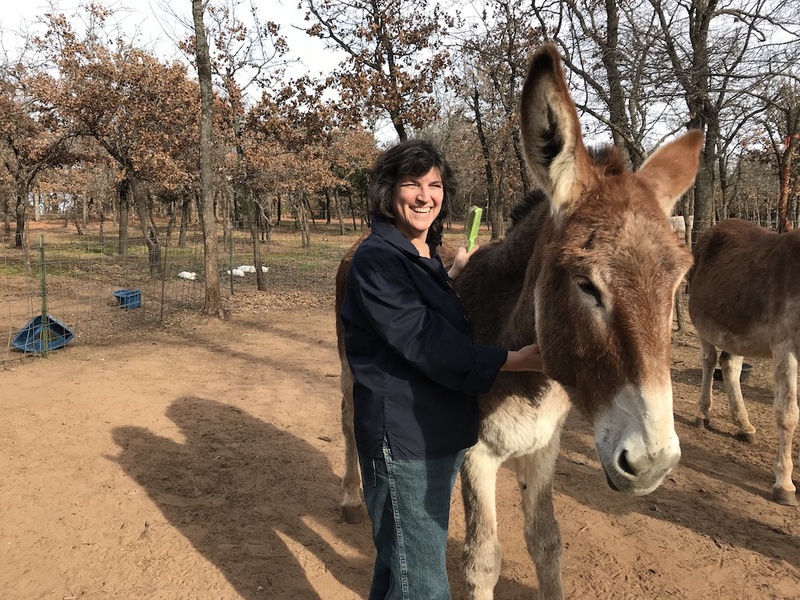 I learned that Buttercup Farm and their Dolce De Donke brand of donkey milk products are just outside of Oklahoma City. Of course, I had to make a visit on our recent trip to the area. 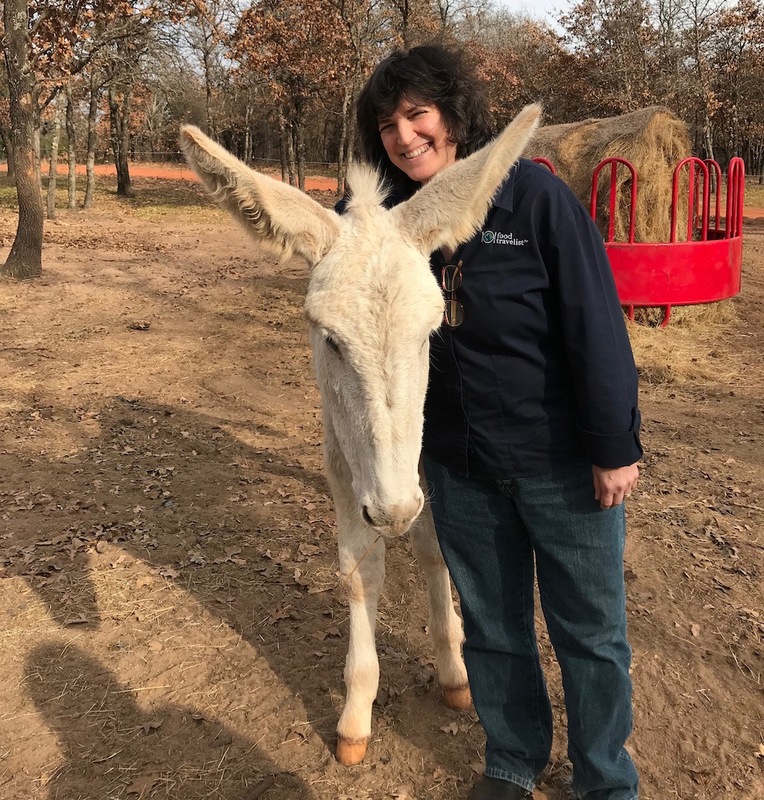 Fortunately, our good natured hostess from the Oklahoma City Convention and Visitors Bureau was game to come along so we headed to the farm for a visit with the donkeys and education in donkey milk their human caretakers. We were greeted by Saundra and her family, including a husband two daughters. We also met a little black rescue kitten aptly named Midnight and two friendly dogs. Looking around we discovered several ducks, a few Guinea fowl, some grown-up cats and, of course, donkeys. As adorable as everyone in the cast was, we couldn’t wait to see the stars of the show. Twelve at this time, the donkeys included rescues, moms, dads, and babies. We met a pair of twin donkey babies, something quite unusual in the donkey world. The donkey beckoned and we carefully went to have a visit. After a few hellos and nudges, we learned that what they wanted from us most were attention and brushing. Donkeys love brushing. Fortunately, there were plenty of brushes on hand for us all and humans and donkeys were happy as can be. Brushing a donkey can be as beneficial as petting a cat or dog for your blood pressure. And, the donkey likes it too. Donkeys just love to be brushed. Buttercup Farm donkeys are American Mammoth Donkeys. George Washington’s first imported French donkeys are their ancestors. These are large, strong, sweet and sensitive donkeys. 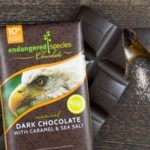 Unfortunately, they are now critically endangered. Saundra decided to opt for this breed for many reasons, including her hope to increase their numbers. If you don’t know much about donkeys, you’ll discover that they are generally affectionate, docile and sort of like huge friendly dogs. They follow you around, hoping you’ll scratch them behind the ears or brush their coats. If they think that you’re trustworthy, they will even nudge you until you take the hint. Donkeys don’t startle easily as horses do and they are quite curious and friendly. Interestingly, the placement of donkeys’ eyes is such that they can see all four of their feet. So if you happen to be somewhere they don’t want you to be, their aim is very good. Donkeys are sometimes called “stubborn.” But what they should be known for is being thoughtful and cautious. Donkeys will not do something that they feel is unsafe and they consider their surroundings and circumstances when making a decision. This is why much of humanity has benefited from donkeys as workmates and helpers in many pursuits. Donkeys are herd animals and like to be with others in a group rather than alone, though they can get along fine with other farm animals. They come in many sizes from mini donkeys to the big mammoths, but all are smaller than most horses. Donkeys have long been work and companion animals for people as far back as ancient Egypt. They can be trained well once they are shown by words and deeds that they can trust you. With good health and care, donkeys can live into their 40s. History is full of great donkey deeds. Donkeys carried silk along the Silk Road trade route, worked the narrow paths of vineyards in Greece and Spain. Even today they carry heavy loads up and down trails that are difficult to navigate otherwise. They like to be helpful and in many ways they are. If you live in the United States, the idea of consuming or using donkey milk for health is probably quite new. But donkey milk has been recognized for its many health benefits since ancient times. Cleopatra of Egypt known for her beauty and youthful appearance took a daily donkey milk bath. Ancient Greek doctors prescribed donkey milk for its health benefits. And more recently, donkey milk was used to feed orphan babies, care for sick children and the elderly in Italy, France, Belgium, Switzerland, and Germany. 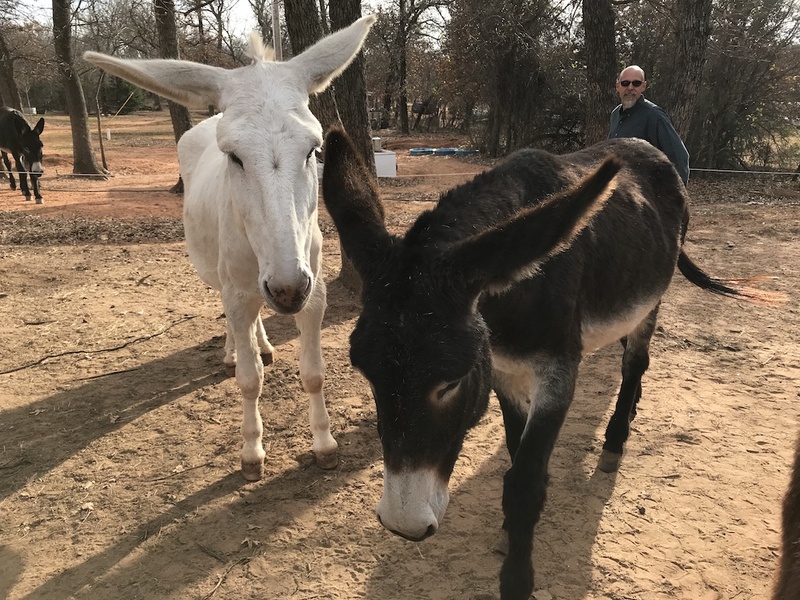 But what caught my attention about donkey milk and its potential benefits came from some first-hand experiences I had read, including Saundra’s story about her daughter’s challenge with an autoimmune disease called PANDAS that attacked her brain. After researching anything that might help, they tried donkey milk and it provided the relief they needed. They got their little girl back. Donkey milk is anti-inflammatory and hypoallergenic and has many benefits from its vitamins, probiotics and other elements. Studies show that children and the elderly who cannot tolerate cow’s milk do very well with donkey milk. In fact, some 90% of children who can’t consume regular milk do just fine with donkey milk, which is similar in composition to human breast milk. 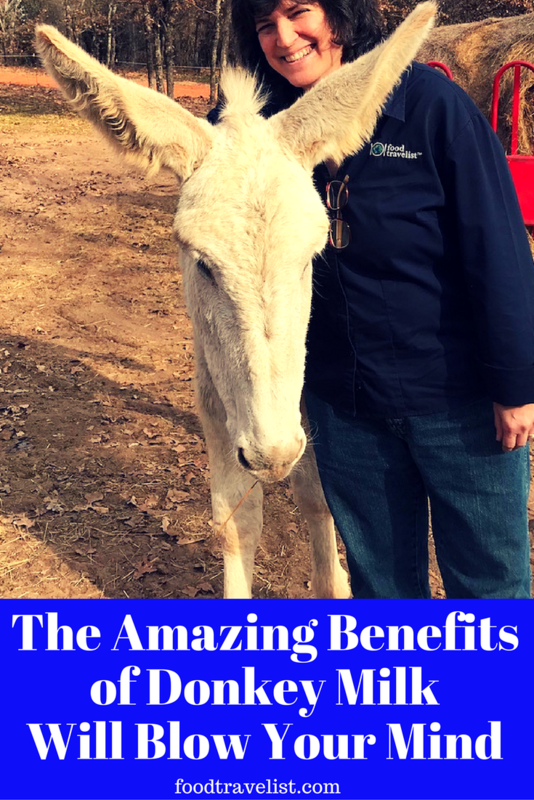 There’s a lot more to donkey milk’s health benefits than I can address in this article, but if you’re interested I’ll direct you first to information on Saundra’s product site and the Buttercup Farm blog where you can start to learn more. The challenge with obtaining donkey milk though is that donkeys are not like cows. They produce small amounts of milk for limited periods of time and they need to have their babies around or production will stop. They need to be milked by hand, and there’s only a little extra beyond what they need for their babies so there’s not a lot of it to be had. If you know that your child is being helped by it though, you’ll do whatever you can. So Saundra bought 3 donkeys and started her farm. One of the first things I wanted to know about consuming donkey milk, probably like most people, is what does it taste like. Saundra was generous with her “liquid gold” and shared some with us. 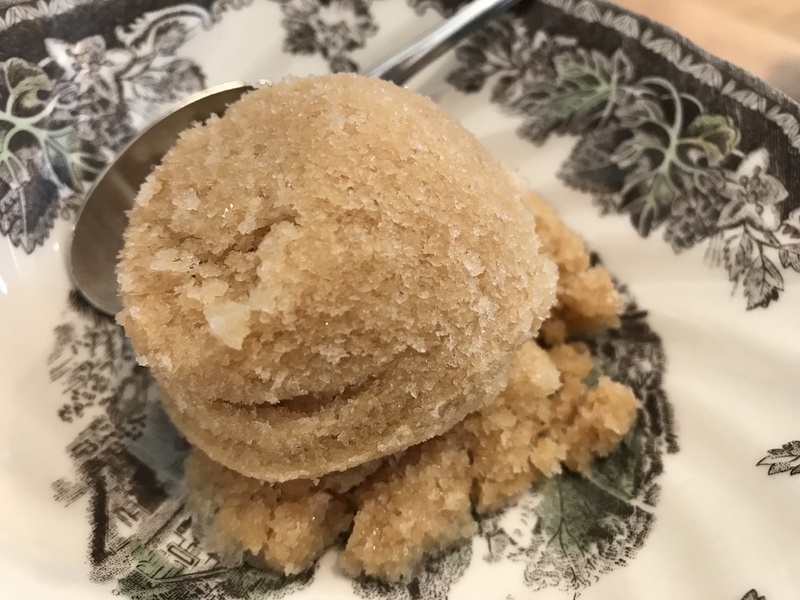 First, we tried some donkey milk coffee ice cream. It was quite mild and more like ice milk than “cream.” We then tasted the milk itself, unadorned. To me, it was really close to skim milk from a cow. It was not thick or heavy or gamey at all. It was just slightly sweet, but not nasty in any way. While Saundra uses what she needs for her daughter and family health, the little extra donkey milk she has can be used for products that she can offer with a longer shelf life. These include soaps, lotions, and creams that are great for body and skin. 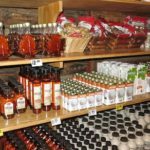 Saundra designed the adorable packaging herself and several local shops around Oklahoma sell her products. 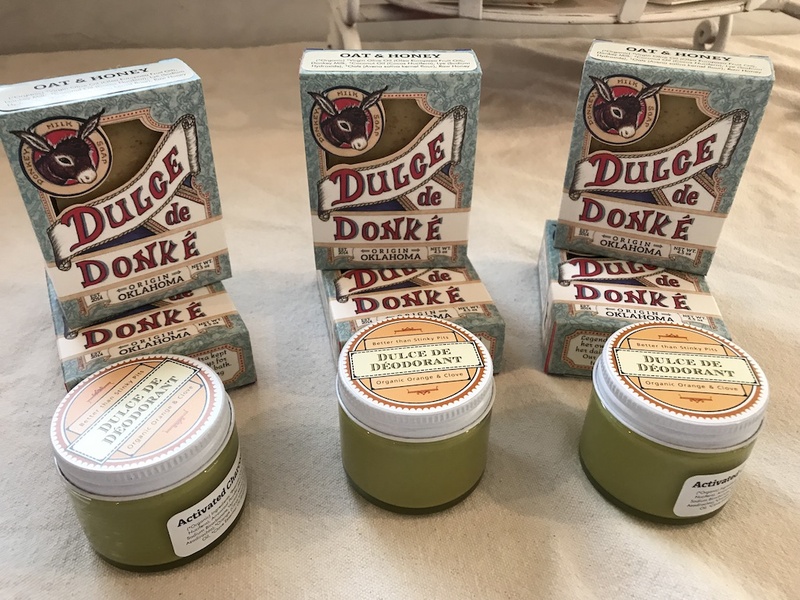 Fortunately, she also has an online shop for Dulce de Donke products so you don’t have to be in Oklahoma to get them. I think I can say we all had a wonderful time visiting Buttercup Farm. 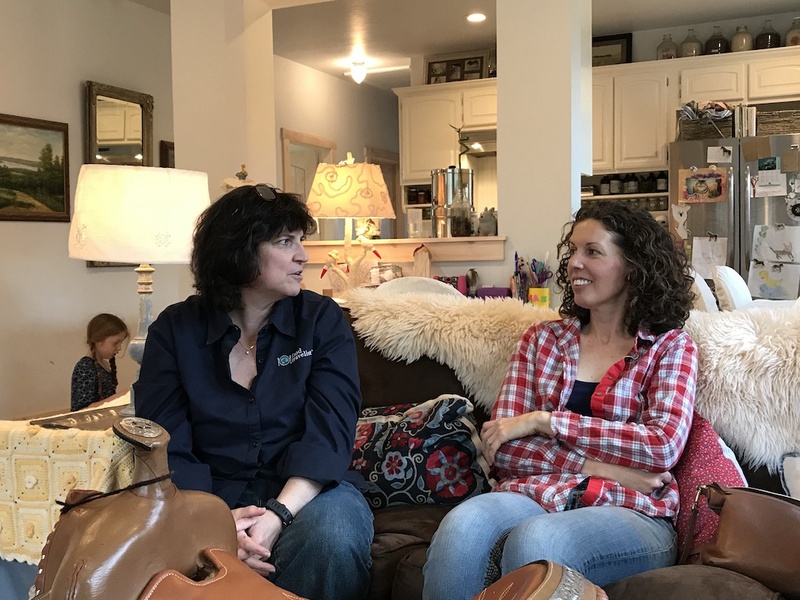 We learned so much about the benefits of donkey milk and enjoyed meeting Saundra and her family, hearing their stories and seeing the results. 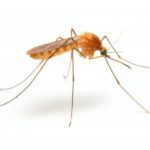 It is truly inspiring to see that there are some ways a natural source can solve even the most challenging problem. But in the end, the thing that will stay with me most is what brought me there in the first place. The donkeys. They are gentle, friendly, generous animals. They have strong personalities, preferences, and expressions. I think if you spent much time with them, you’d feel sad when you have to leave them behind. I was only a visitor for a few hours on one day. And yet, I already miss them. Perhaps we will all have more donkeys in our future. The benefits of donkey milk are being researched and studied for applications to human health. And the success stories are becoming more visible. I know that there are many animals out there deserving of our love and support. But so long as there are donkeys to meet and brush, I’ll always be a devoted fan. 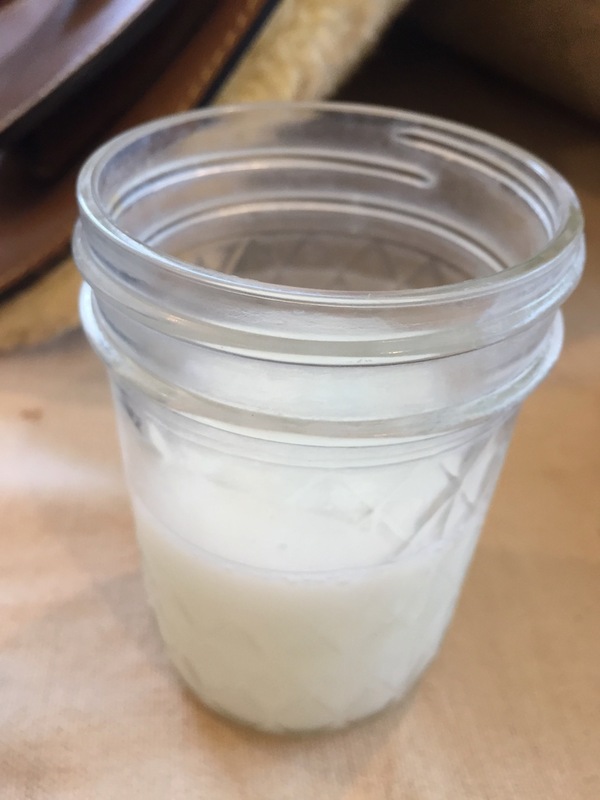 Hi can you please tell me how I can get some Donkey Milk… I love what I am hearing about the benefits… I need it for internal inflammation and probiotics. Reach out to Sandra at https://dulcededonke.com/ I’m sure she’ll be happy to help you. Thanks! I love all animals too! Despite their stubborn reputation I’ve always found them to be very loving too. 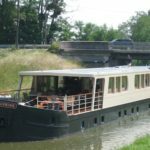 Great story behind the farm, those are the special travel experiences that stay with you! I’d definitely recommend you checking it out, Debbra! The donkeys are fabulous and we’re just beginning to learn about all the many benefits of donkey milk. Visiting a farm would be quite enjoyable! I have never heard of one drinking donkey milk before. I do love all the benefits it provides. I need the anti-inflammatory and probiotic benefits. I just hope I can enjoy the taste. The taste is really similar to skim milk from cows, Tami. Some people say it tastes a little sweet, but personally, I don’t notice the sweetness. It’s not gamey like goat milk can be at all. The benefits are really wonderful and the taste is perfectly fine. Love your images! WOW, I had no idea about Donkey milk, you just schooled me on this. I would love to learn more about the skincare products. So many health benefits I’m sure many of us didn’t even know about from Donkey milk, who knew!! I would love to visit this farm to learn more! It is amazing, isn’t it? I’m still just beginning to learn all about it. There are some countries that are much further ahead in use of donkey milk than we are in the U.S. I would highly recommend you visit a farm – if nothing more than to spend time with the wonderful donkeys. They’re really like big, sweet dogs, who love to be brushed and love attention. I hope people learn more about how great donkeys are and how much these creatures have to offer. Okay, really?? I honestly had no idea about Donkey milk. This looks like a great visit to the Donkey farm and full of great information. I am really interested in the skin care line. Thank you for educating me today! Europe, especially Italy and Eastern Europe are much further ahead in understanding the value of donkeys and donkey milk. We’ve tasted the milk and it tasted fine. We’re looking forward to testing out some of the skincare products. We’ll let you know what we experience. Realy interesting, Diana. I will click through to learn more about other benefits of the milk. Thanks, Kim. I think you’d really love the donkeys. And the milk is something definitely worth exploring. I’m just learning about it myself, but there are a lot of studies that demonstrate its benefits. We’re just starting to discover how much good it can bring. The headline got me to click over and read this post… I love donkeys and would love to visit this farm. I had no idea donkey milk could be obtained and after reading I see it is not easy to get and is, as you say, like liquid gold. Thanks for an informative post! If I ever make it to Oklahoma I will have to look up Buttercup Farm and see if I can arrange a visit.